Last year, I read my very first Leo Tolstoy's book - War and Peace. When I started reading the book, I had never read anything by Leo Tolstoy, nor did I have any preconceived ideas about the story. From the very beginning I was captured and couldn't put the book down. Front Flap synopsis: "At a lavish party in St. Petersburg in 1805, amid the glittering crystal and chandeliers, the room buzzes with talk of the prospect of war. Soon battle and terror will engulf the country, and the destinies of its people will be changed forever. War and Peace has as its backdrop Napoleon's invasion of Russia and at its heart three of literature's most memorable characters: Pierre Bezukhov, a quixotic young man in search of life's meaning; Prince Andrey Bolkonsky, a cynical intellectual transformed by suffering in war; and the bewitching Natasha Rostov, whose impulsiveness threatens to destroy her happiness. As they seek fulfillment, fall in love, make mistakes, and become scarred by conflict in different ways, these characters and their stories interweave with those of a huge cast, from aristocrats to peasants, from soldiers to Napoleon himself. Battles, love affairs, births, deaths, changing family fortunes, unforgettable scenes of wolf hunts, Russian dancing, starlit troika rides, the great comet of 1812--the entire spectrum of human life is here in all its grandeur and imperfection." I'm looking forward to reading Anna Karenina at some point this year. Think I'll wait until my nobel literature class is over so I can give it my full attention. Several of his works are available to read online at Project Gutenberg and Classic authors. Pick up and read one of Leo Tolstoy's works this year. You'll be glad you did. I should really really really read Tolstoy. It's embarrassing that I haven't. I got halfway through Anna Karenina once, and I enjoyed it, but I put it down and didn't pick it back up. I will read it again. 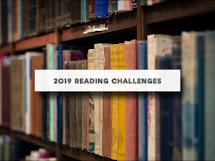 I have kept up with reading easily, but it has been difficult for me to carve out time to write reviews, so I am trying to get caught up by writing several short reviews in one sitting. I'm going to scout out everyone's reviews and decide what to take to the beach!